I'm so excited how this project turned out. I prepped a white canvas with white acrylic paint. 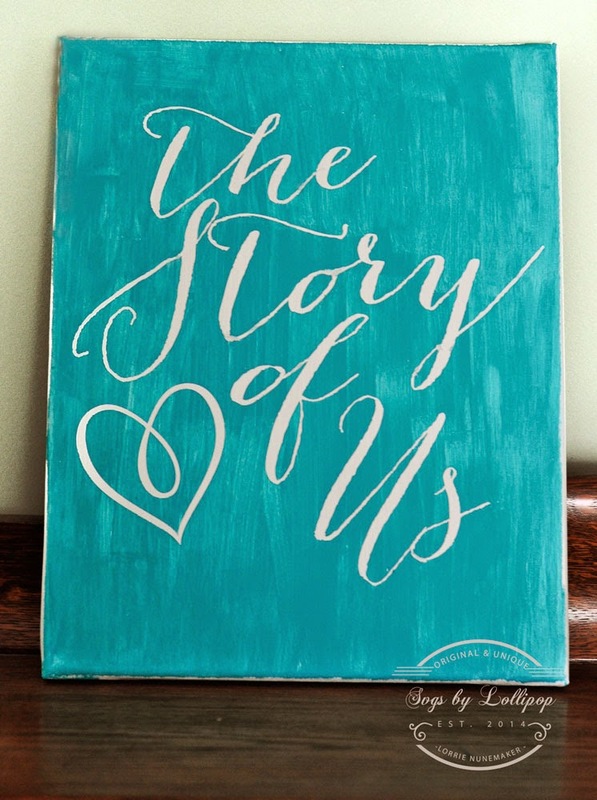 I then used my Cricut Explore to cut "the Story of Us" out in canvas. I applied the vinyl to the canvas, painted over the entire canvas again with white paint. After the canvas had dried thoroughly, I painted the teal paint over the entire canvas. Once dried, I peeled up the vinyl.